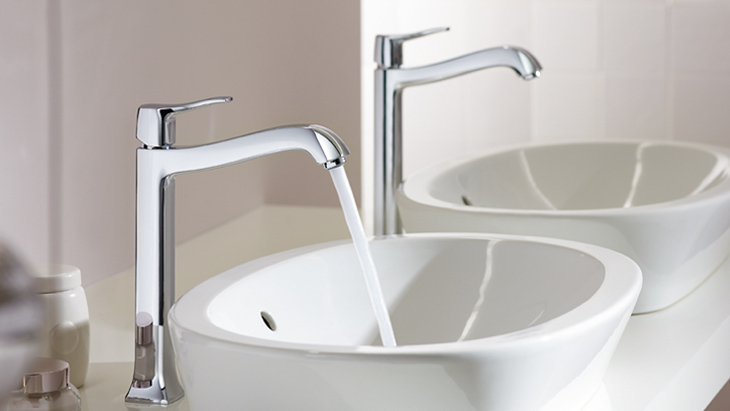 Fallen in love with a mixer, but not sure whether your wash basin will go with it, or which basin might fit? Do you have clear ideas about your ideal washing facilities, and now you just need the right mixer from AXOR or Hansgrohe? We can help you with your own personal bathroom design: Our systematic overview shows the current product ranges of lots of well-known wash basin manufacturers. Find your ideal combination quickly and easily. You need a good consulting service to be able to perfect any good suggestions that you have: We have selected the recommendations in our matrix according to style, price category and design standards. Aesthetic criteria are given precedence, however they do not supersede consultation with the dealer. Only he can properly assess whether the dimensions and technical requirements meet the on-site requirements. Lastly, there's no point in having the most beautiful combination if the connections don't fit. For faultless installation, even the restricted spaces in your bathroom and the water pressure, for example, have to be just right.